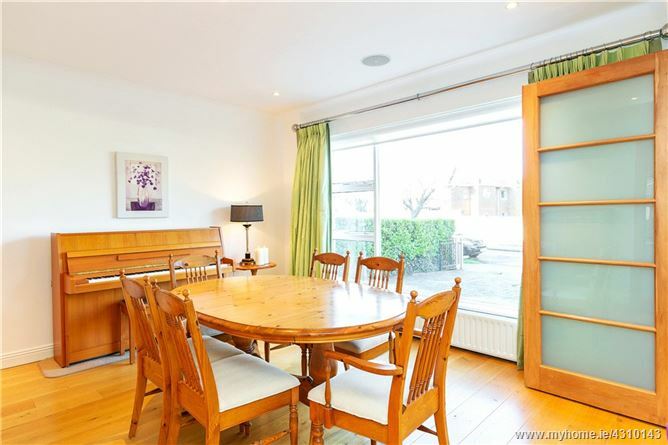 A very fine four bedroom detached family home situated in a prime position on this ever popular mature residential road in the heart of Clonskeagh. Brightways stands on generous gardens and grounds with ample off street car parking to the front and an excellent lawned garden with an important southerly aspect to the rear. 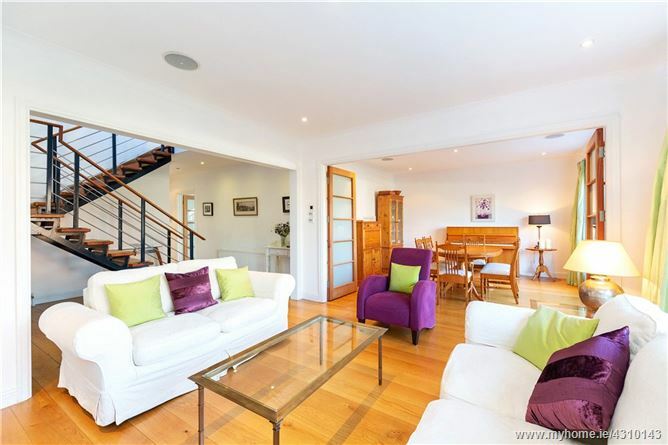 Internally the property enjoys beautifully presented contemporary family accommodation with exceptionally bright, open plan living space to include: a generous hallway with feature stair case, an interconnecting sitting room and dining room with large picture windows overlooking the front garden. 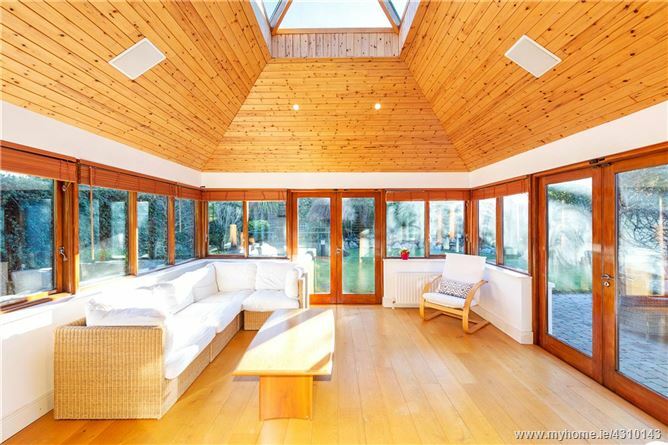 To the rear there is a comfortable family room leading through to a bright and spacious sun room with feature vaulted ceiling with atrium affording maximum levels of natural light. 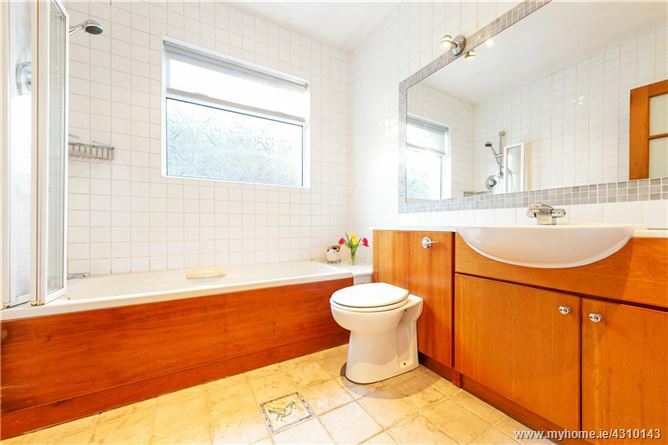 This room enjoys pleasant views of the private garden to rear. 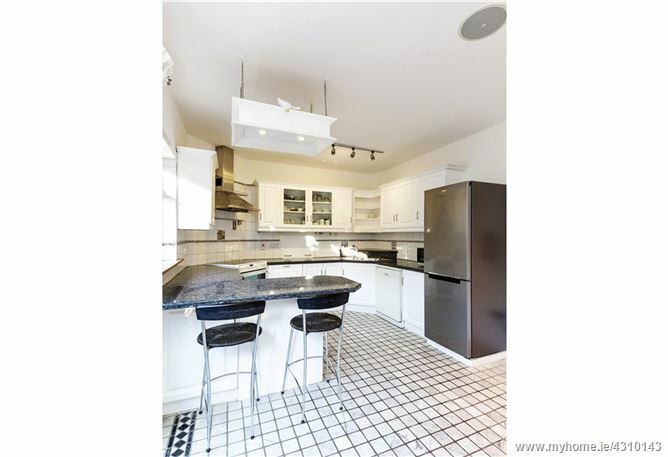 There is a fully fitted kitchen with integrated appliances complete with feature hatch to the dining room to front. 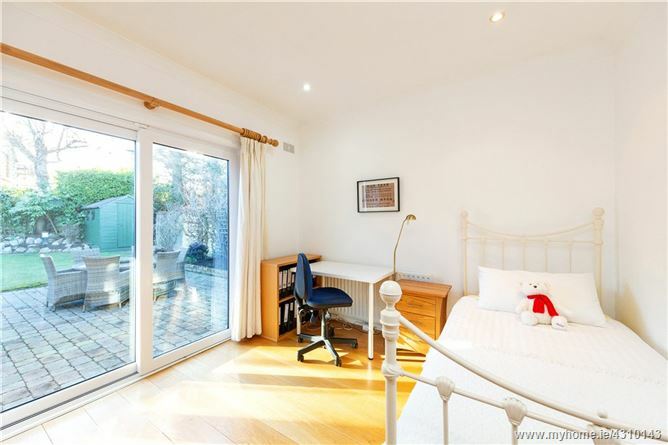 This is a bright room which benefits from westerly sunshine. 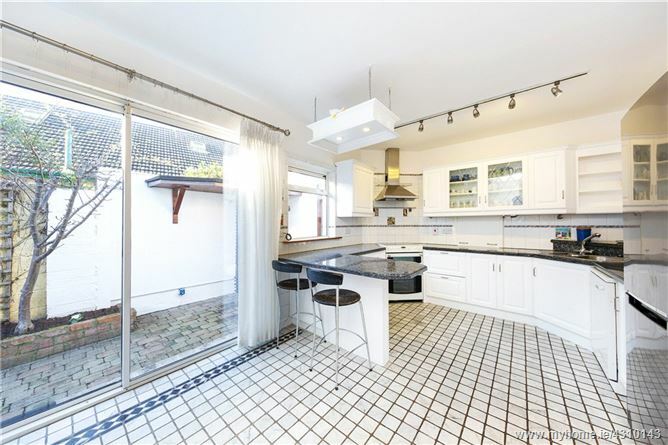 A sliding door leads from the kitchen to the side of the property with access to the garage to front which is cleverly fitted out as a large utility room. 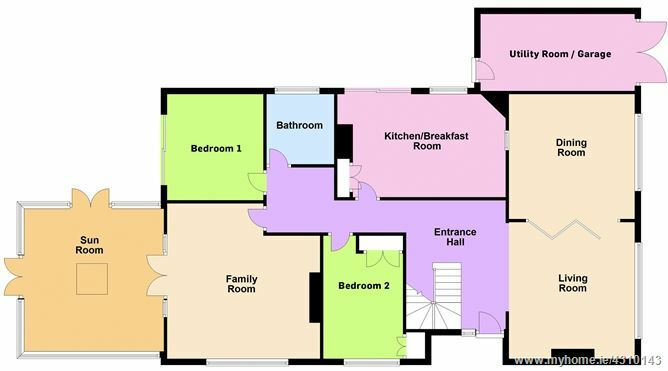 There are two spacious double bedrooms at ground floor level complete with a fully fitted family bathroom. 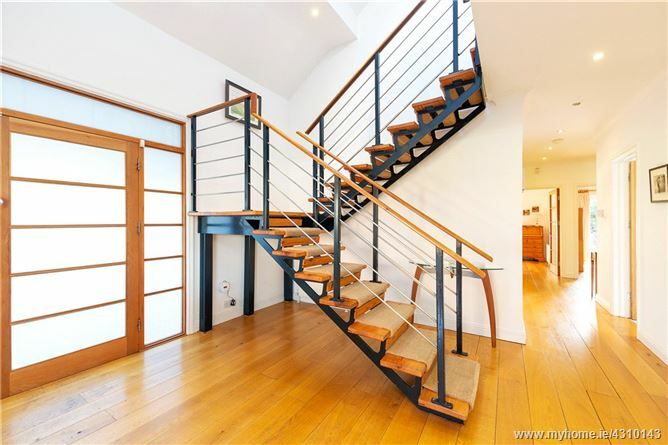 Upstairs there are two large double bedrooms. 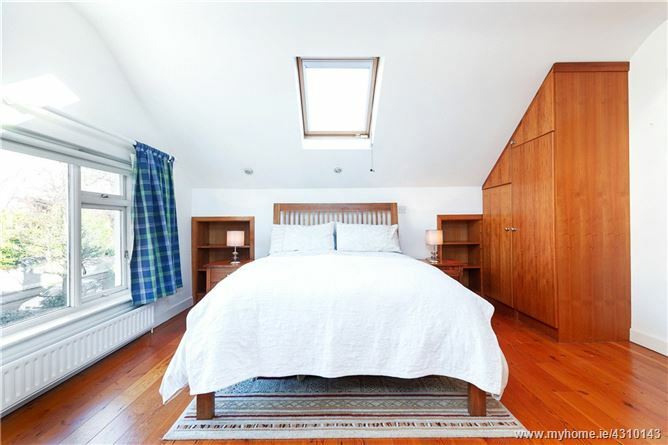 The master suite to the rear is a particular feature of the property complete with ample storage, walk in dressing room and a shower room. 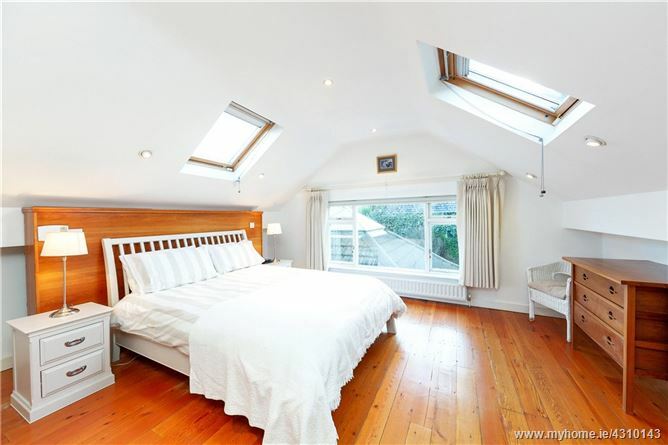 This is a luxurious room flooded in natural light by overhead skylights and a large picture window to rear. 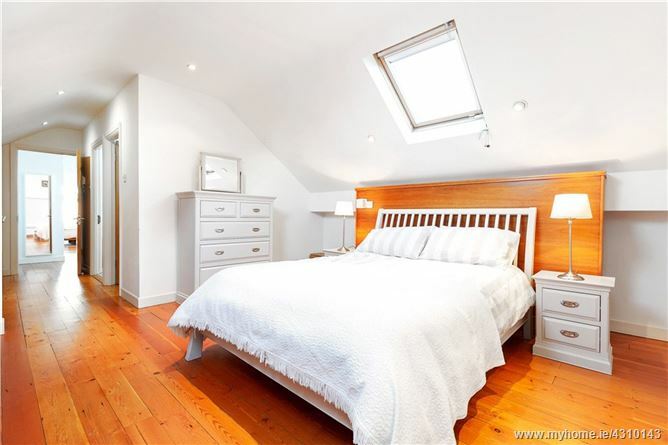 There is another large double bedroom complete with ensuite to the front. 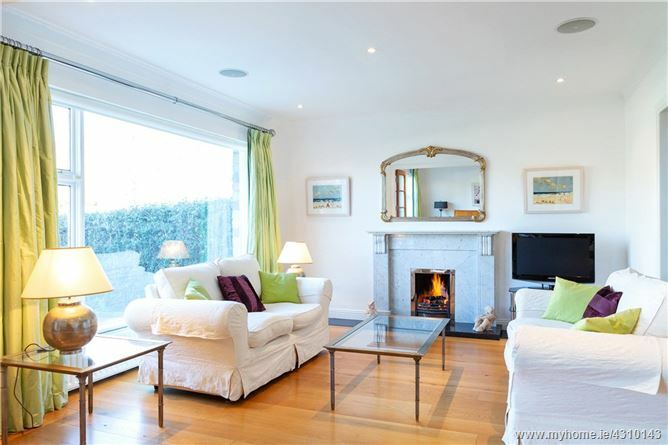 The property has been beautifully maintained by the current owners and offers excellent family accommodation in first class residential location. 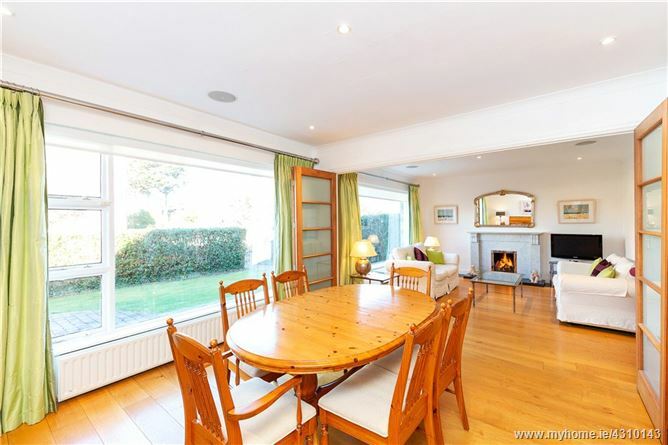 Leinster Lawn is a highly sought after residential road a short stroll from the university campus at Belfield and close to Deerpark and Mount Merrion. 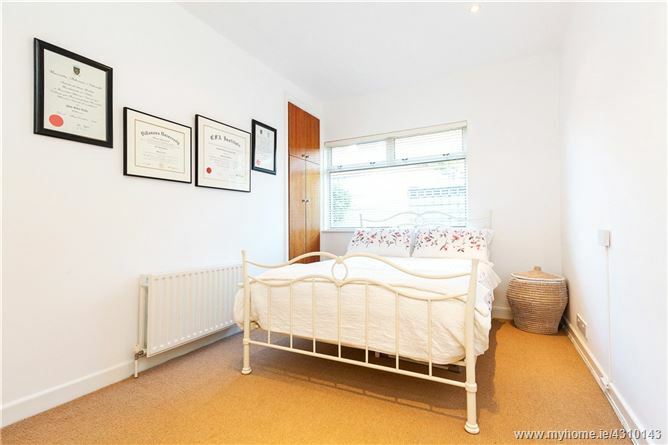 It is a most convenient location with local shops and amenities and many sought after primary and secondary schools are within easy reach. 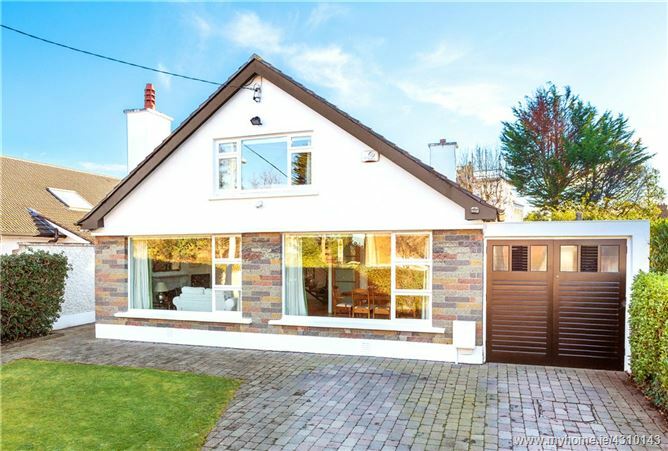 There are also excellent transport links in the immediate area, and the villages of Donnybrook and Ranelagh are within easy reach as is the M50 and Dundrum Town Centre. 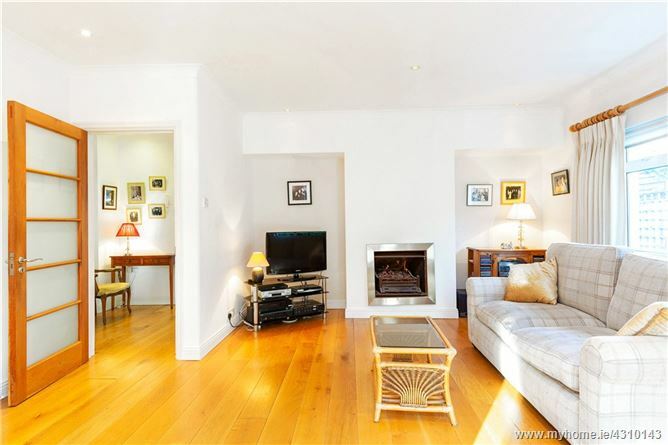 Substantial, detached family home in a premier residential location. 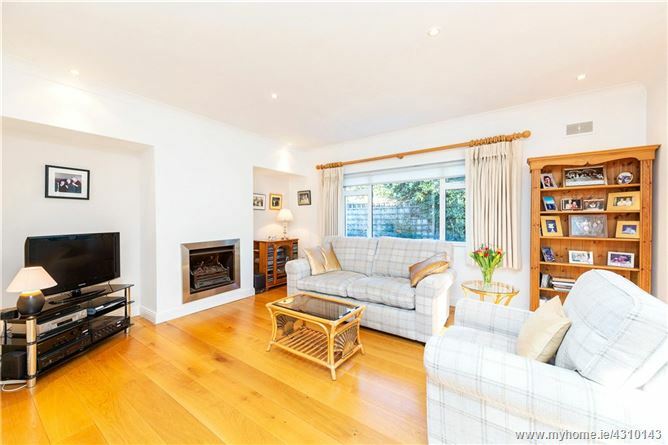 Extensive versatile family accommodation to include living room, dining room, family room and sunroom. 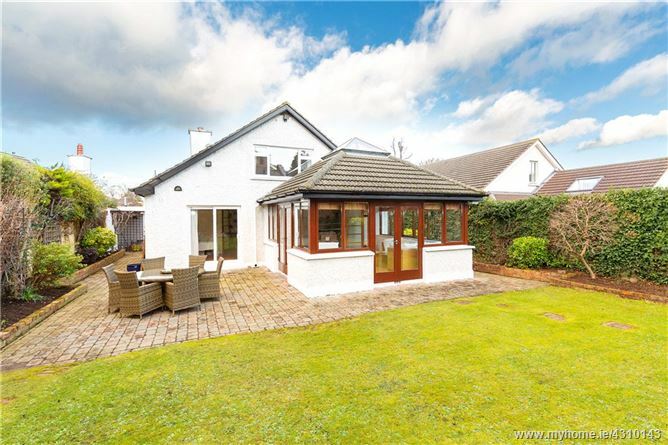 The property stands well detached on a generous site on Leinster Lawn, there is ample off street car parking to the front of the property. To the rear there is mature lawned garden, benefiting from southerly sunshine. 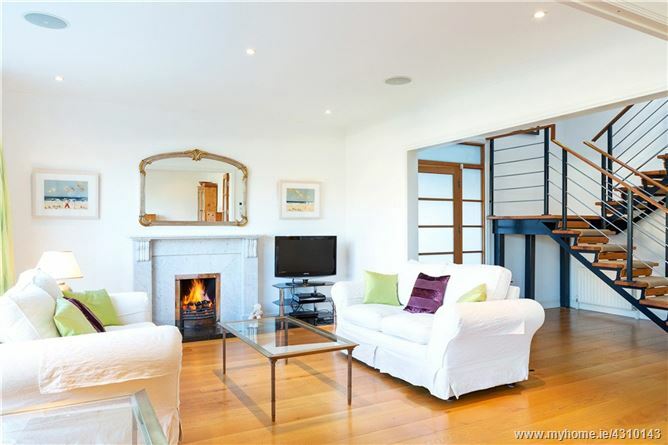 The property offers immense potential to extend if desired, although given the quality of family accommodation, and excellent floor area, this may not be necessary. 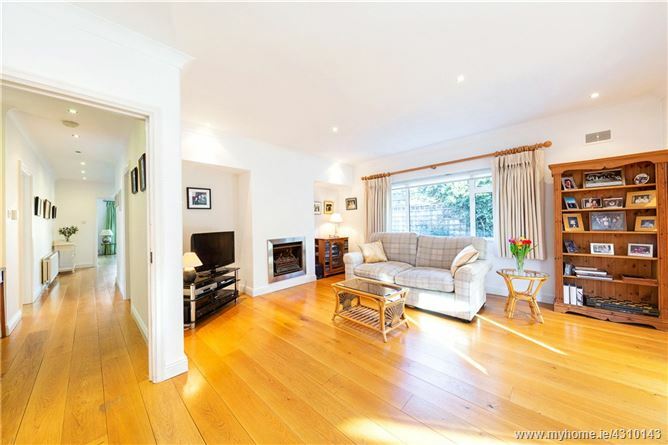 Continuation of the oak flooring, large picture window to the front of the property. 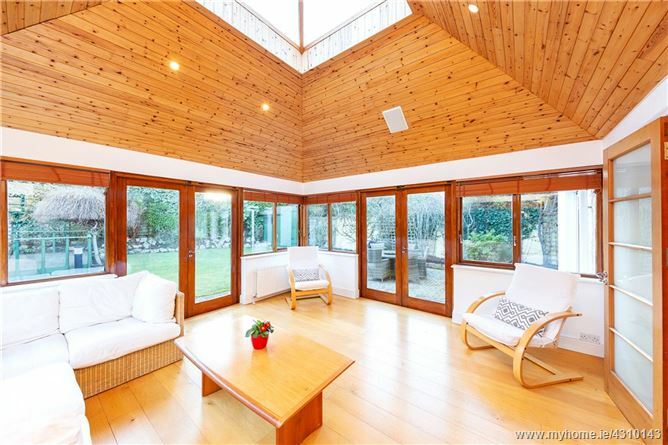 Continuation of oak flooring, timber double glazed windows, feature pine vaulted ceiling with atrium overhead, two pairs of double doors leading to rear garden. 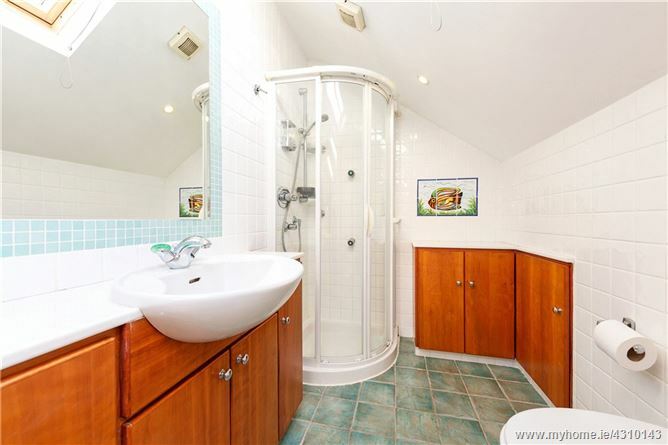 Bath with power shower over, w.c., wash hand basin, vanity units, marble work surface, tiled floor, tiled walls, large vanity mirror. 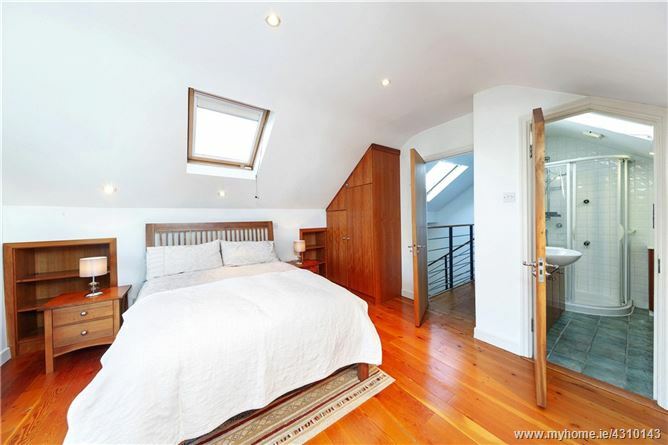 (over all measurement to include ensuite shower room) two Velux skylights, large picture window to rear. Power shower with wall mounted jets, w.c., wash hand basin, tiled floor, tiled walls, marble counter tops, storage units, Velux skylight, extensive wardrobes with ample storage and access to under eaves attic storage, separate walk in wardrobe with Velux skylight and access to under eaves storage. 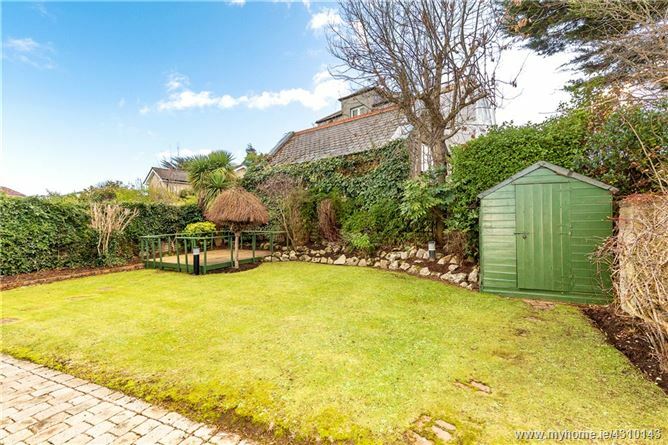 Attractively landscaped with cobblelock paving, raised beds, mature planting, herbacious borders, lawned garden with feature deck, southern orientation. Side access leads out to front drive way. (to side) with double sink, fitted units, radiator, plumbed for washing machine, space for dryer, gas boiler and ample storage space. Double doors to the front of the property.